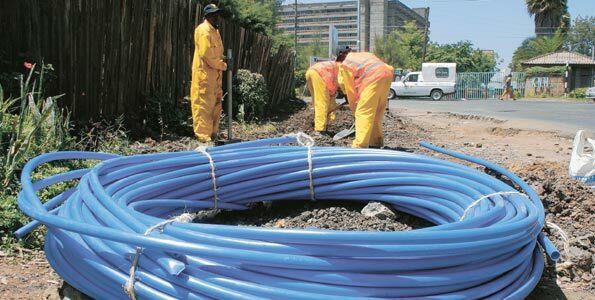 The Kenya ICT Authority is looking to connect all 47 counties to the fiber backbone by December 2015. The project has so far covered 28 towns and hopes at easing communication across counties as well as improving access to e-government services. The project is taking place through the implementation of the national fiber backbone (NOFBI) at a cost of Kshs. 6 billion and once fully implemented will cover 2,100 kilometers. Once the NOFBI project is implemented, the last mile connectivity under County Connectivity Project (CCP) will take over seeking to connect County offices from the fiber link. Under the first phase of the project, which was completed in 2013, 29 County commissioner’s offices were connected. The offices covered were able to access video-conferencing services, IP telephone and high-speed internet. The second phase of the project will commence this June seeking to install the remaining 19 counties, yet to be connected. The installation, testing and commissioning of the same is earmarked for completion on January 2016. The ICT Authority has also created a road map for Counties in Kenya to ensure the supply for e-government services is in tandem with broadband requirements. The ICT road map project which kicked off in March 2015 seeks to collect data on the status of each county as well as gather information on planned projects in each county. In addition, the project will draft an ICT development plan for each county for a period of six months. Once completed, each county will begin executing their road maps. After the launch of the ICT Road Maps, the Counties shall begin to execute their individual plans. With the project helping in the procurement of systems with common applications in the county such as revenue collection under a shared services model.